This is an amazing instrument. For the first time many owners can see what vets have been seeing for years, the inside of the ears of cats and dogs. How it works is that the Otoscopy camera is gently placed in the ear of say a dog, and it is linked to a monitor (like a TV screen), and the owner can watch the screen and see a magnified image of the inside of their dogs’ ear! 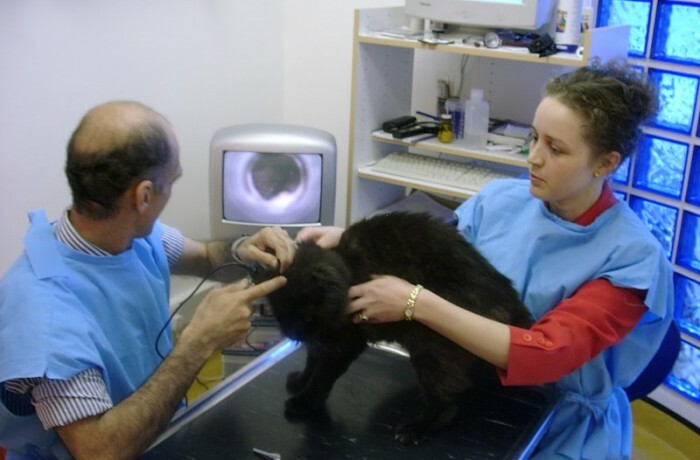 Now clients can watch as the vet describes the condition of the ear, whether it is in good condition or if there are any abnormalities or illness, and how to go about correcting this. They can also follow up and see the progress of treatment.